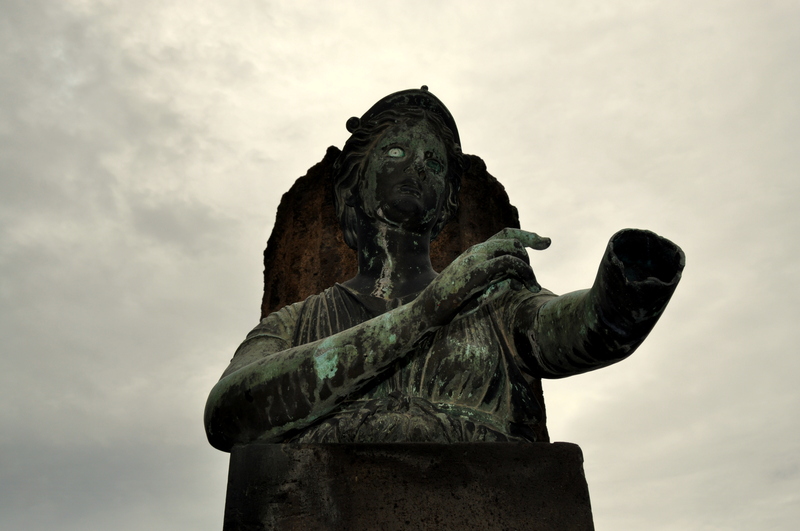 I spent a week in Naples in 2012. 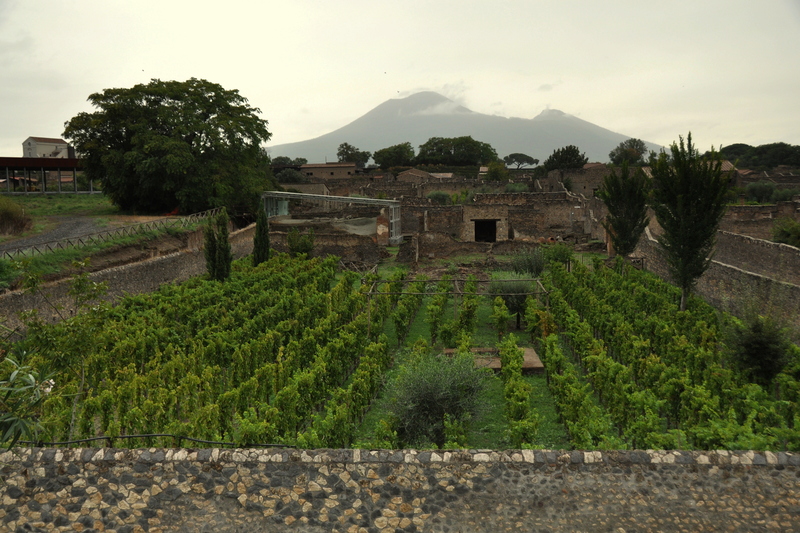 Greater Naples was, to me, a previously-unexplored corner of Italy. 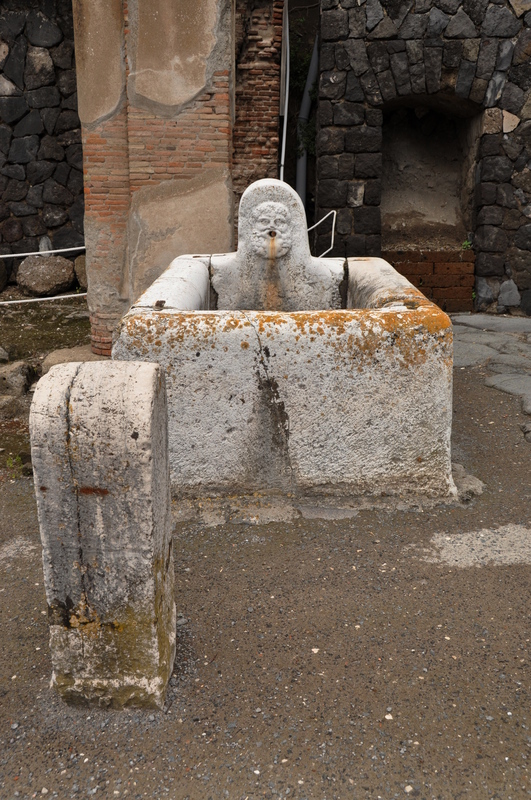 The general plan was to visit Pompeii, climb Mount Vesuvius, check out the city’s National Archaeological Museum, explore its historic port, and maybe drive south along the Amalfi Coast to an idyllic beach town of my choosing. Alas, things didn’t go as planned. 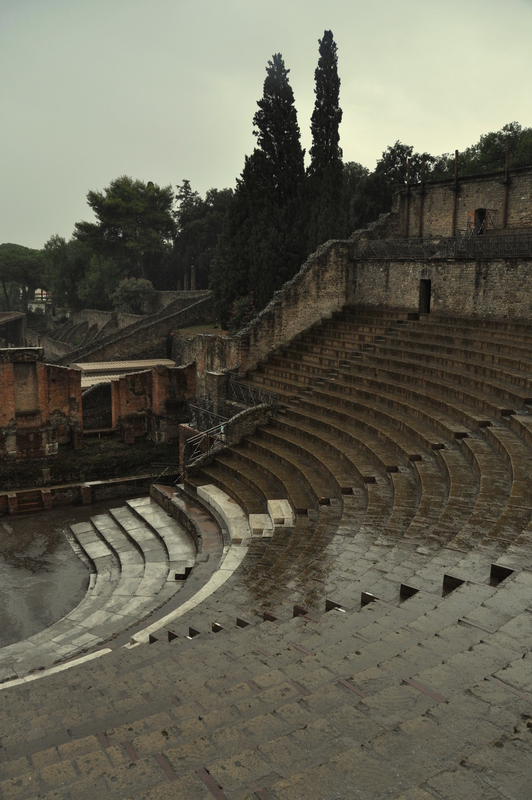 It rained the first four days I was there (I don’t particularly enjoy Mediterranean Europe in the rain), and I caught a debilitating stomach virus that literally had me bedridden for the last three (sunny) days. 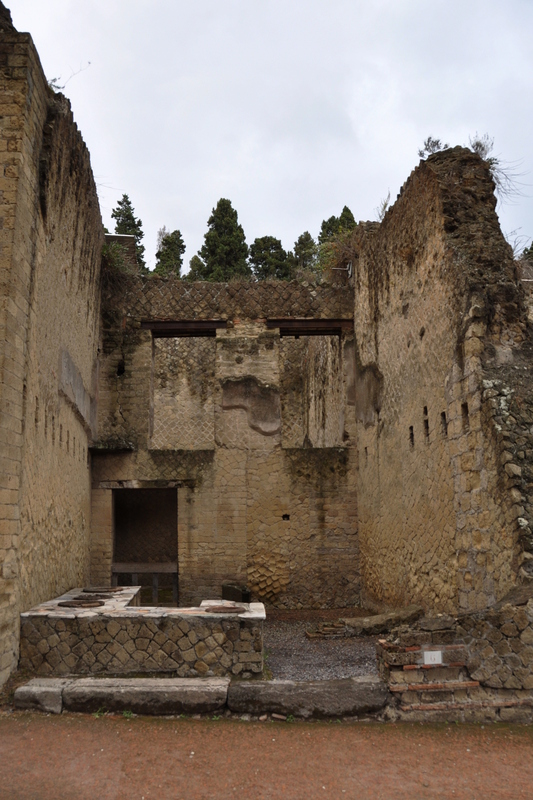 Still, I did make it to Pompeii, and also to Herculaneum – a recently-excavated port city that was second in line (after Pompeii) to receive the volcanic wrath of Vesuvius in 79 A.D. Upon my return, I somehow “lost” the pics from my time in Greater Naples. When I accidentally stumbled upon them last week, hiding in the wrong folder of an external hard drive, I did something of a happy dance. I thought I’d share some of my favorite images with you. 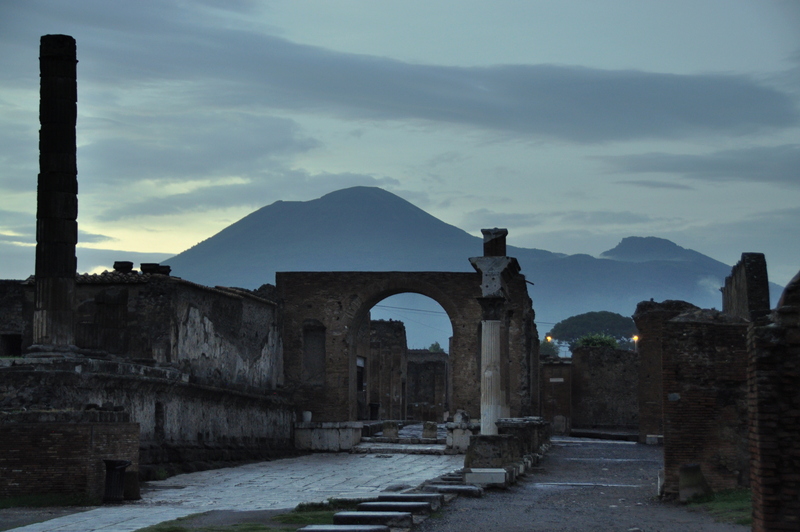 Pompeii was a sizable town of 20,000 people, situated at the base of the volcano. 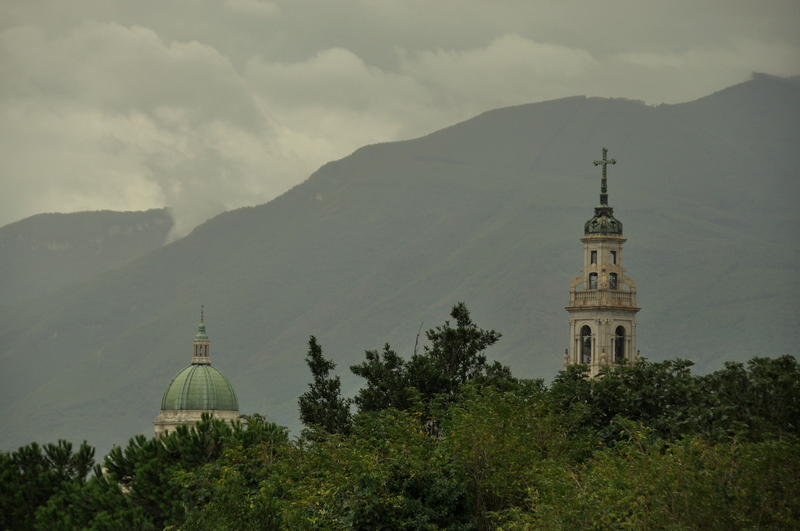 When the volcano erupted its residents had no time to escape and were buried alive. 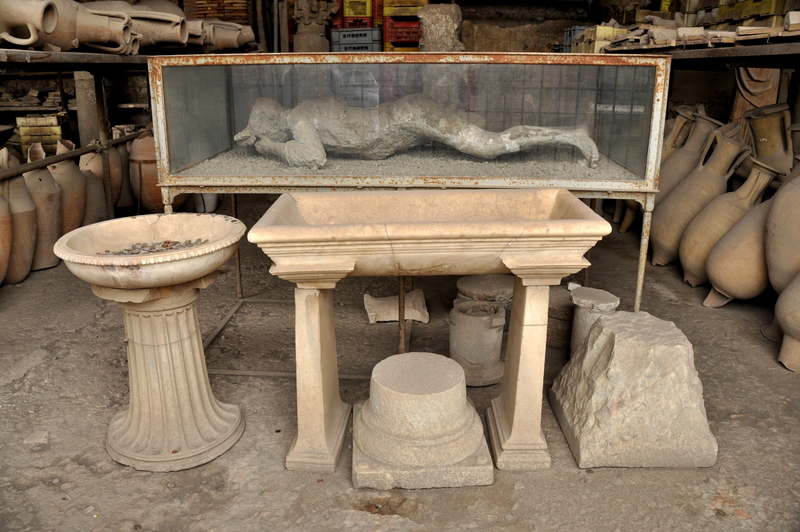 A few are “displayed” under glass in a sort of ashen mummy form. 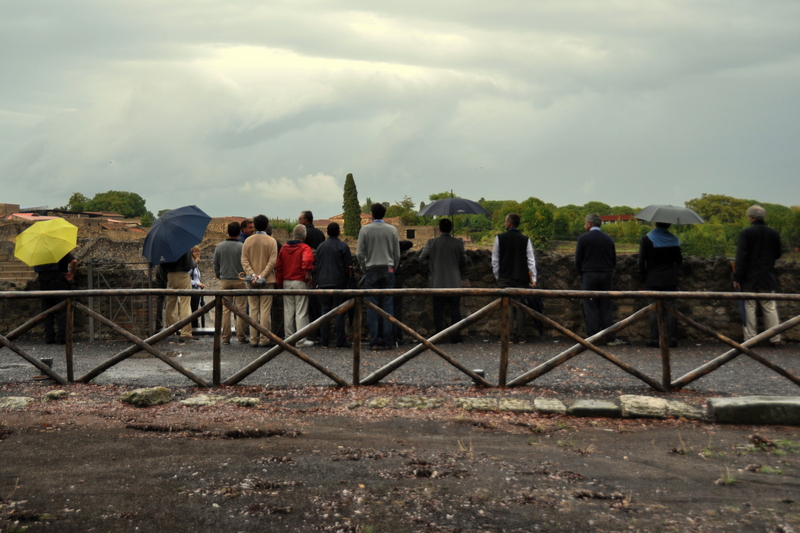 Most tourists race through here like madmen, many of them daytrippers from Rome (three hours away by train). That is just crazy. I spent five hours here, and got well and truly lost. 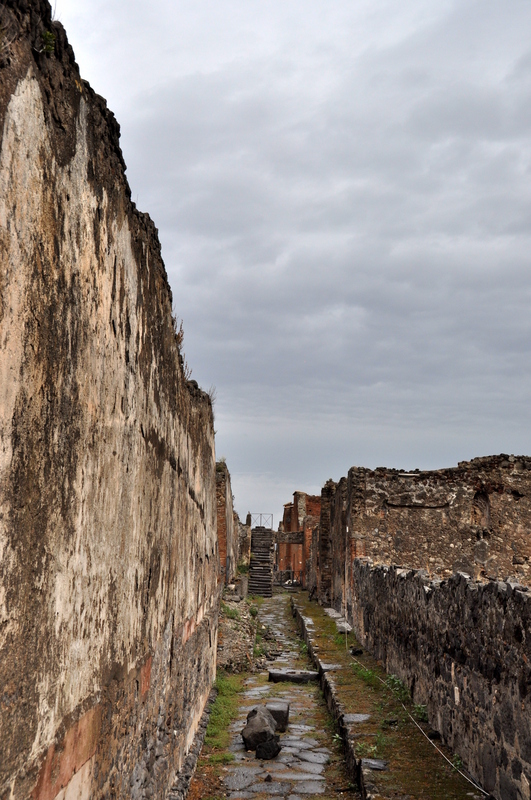 Pompeii is a labyrinth. 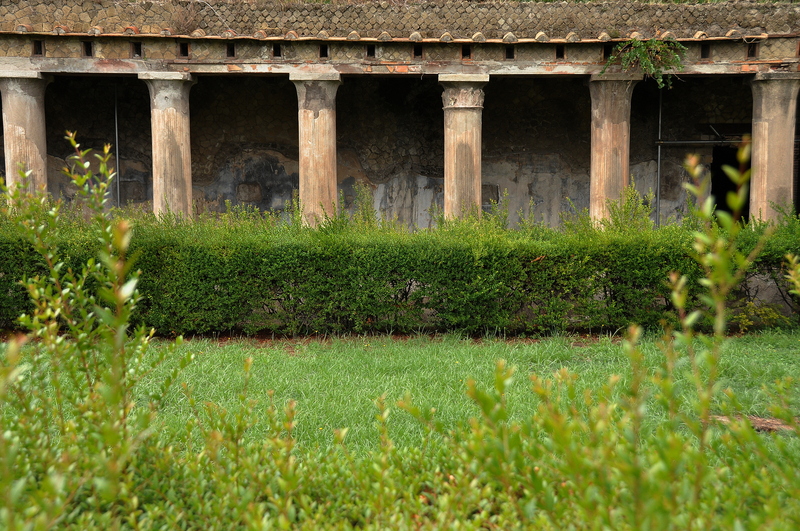 Housed within the sprawling ruins are two forum-style arenas, a basilica, an amphitheatre, preserved frescoes, bath houses, and a real working vineyard! Oh, and dogs. 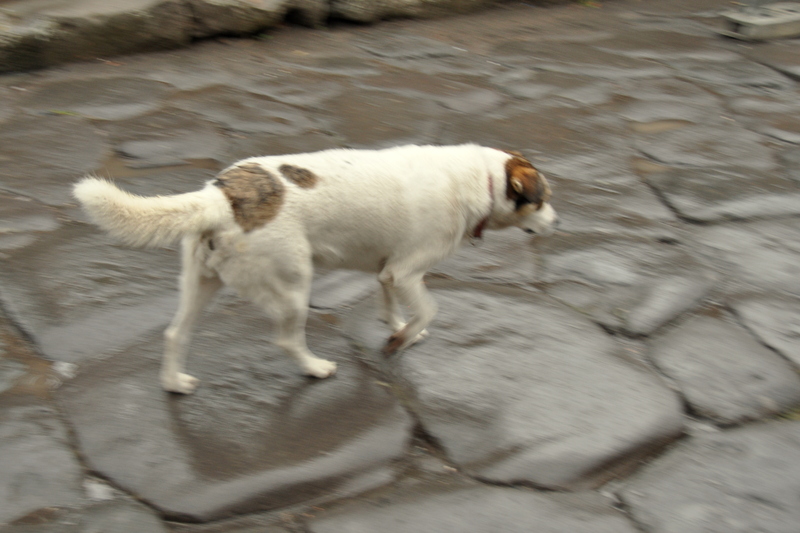 Lots of stray dogs. 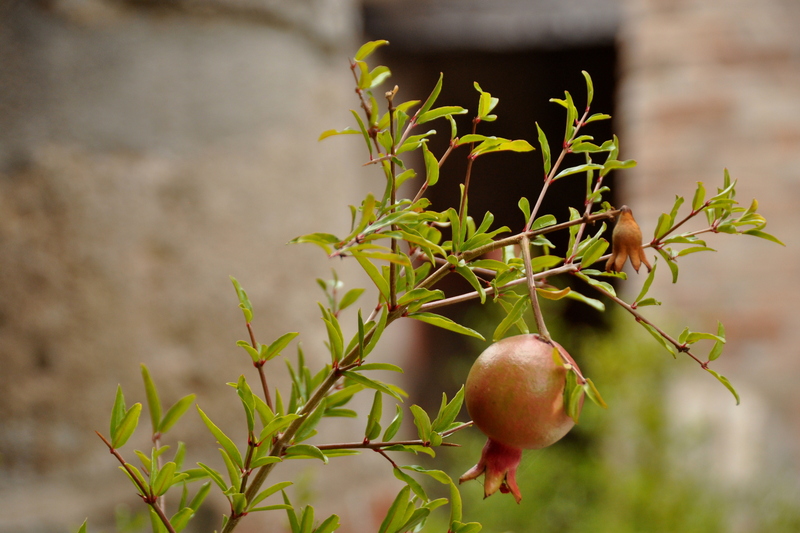 All in all, it’s an incredible place, and it exceeded my expectations despite the on-and-off rainfall. 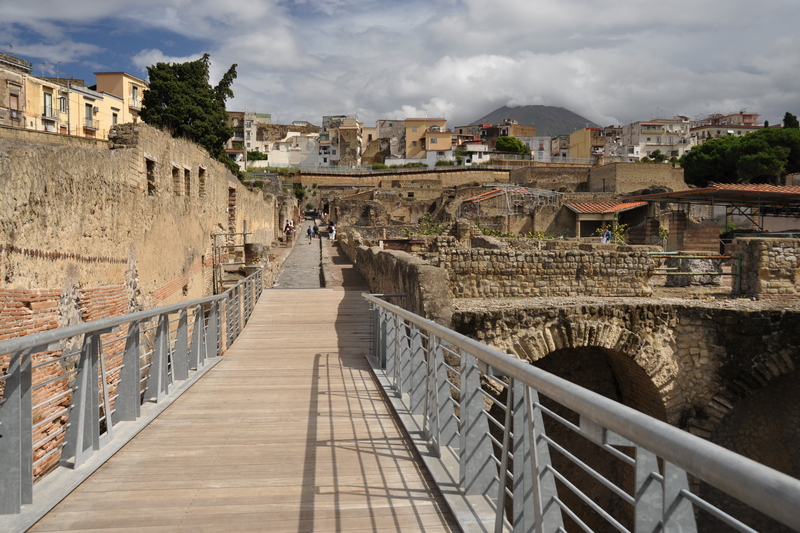 The archaeological site of Herculaneum was just one mile by foot from my hostel. 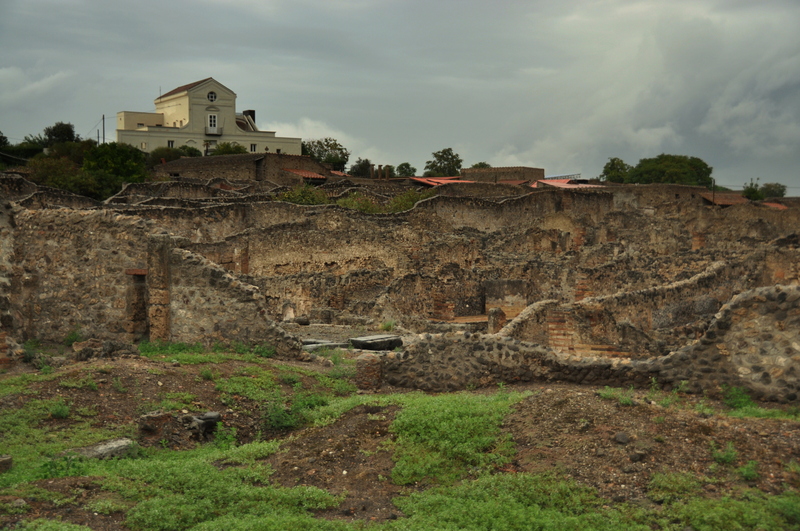 These ruins are considerably smaller than those at Pompeii, and Herculaneum is different in that it lies directly below the bustling Naples suburb of Ercolano. 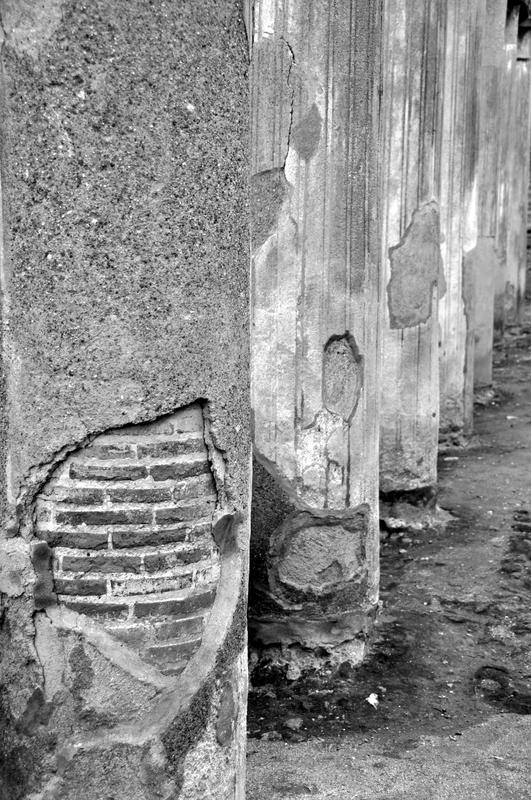 Somewhat uniquely, as you walk around the ruined city a modern town bustles directly overhead. 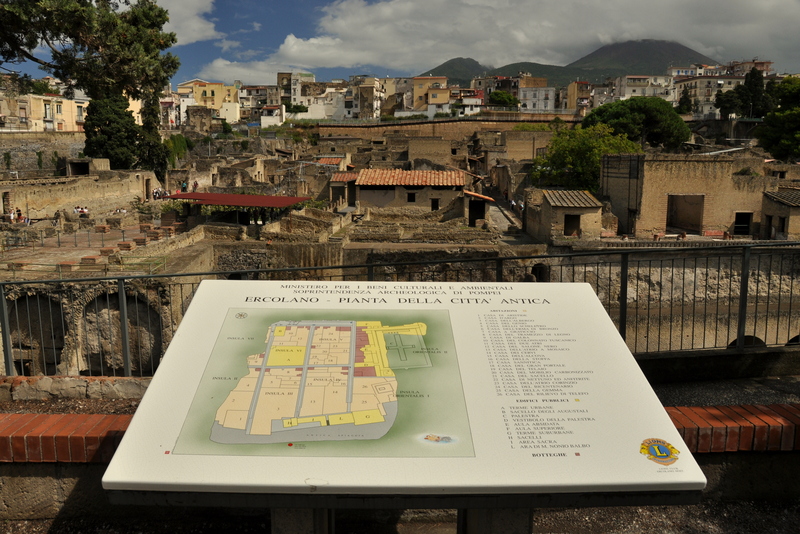 Herculaneum was blanketed by ash, not lava. The weight of the ash was enough to bring down the roofs of most buildings, but they have otherwise survived in excellent shape. 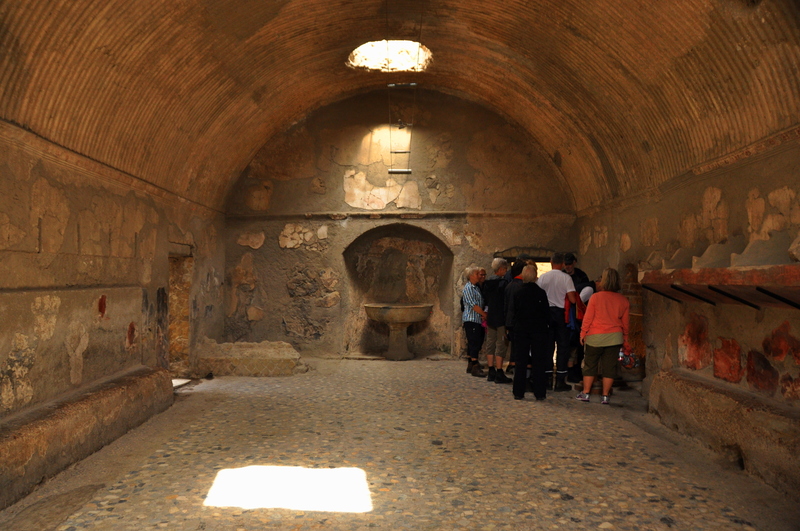 Their kilns, frescoes, and mosaics are in much the same shape as those at Pompeii, yet they have received far less funding for restoration and have only been open for tourism for three decades. 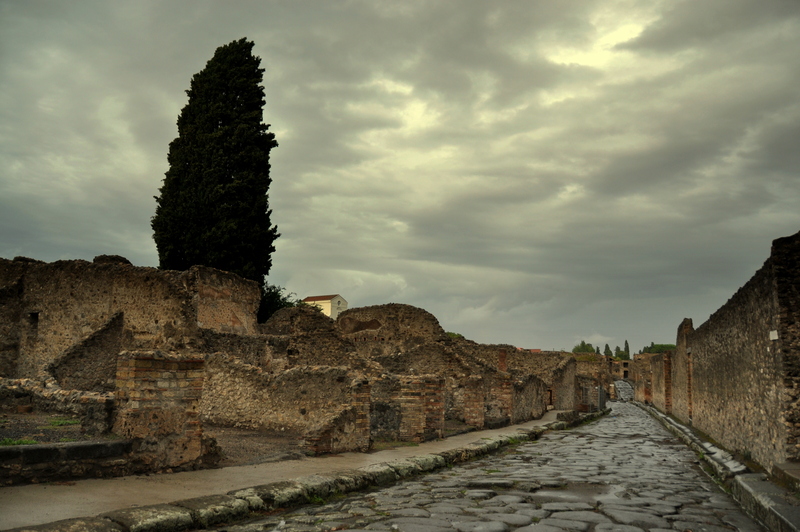 Rome was my exit city, and I spent my last afternoon walking around. I spent several minutes lingering below the Monument to Victor Emmanuel II, a former Italian king. 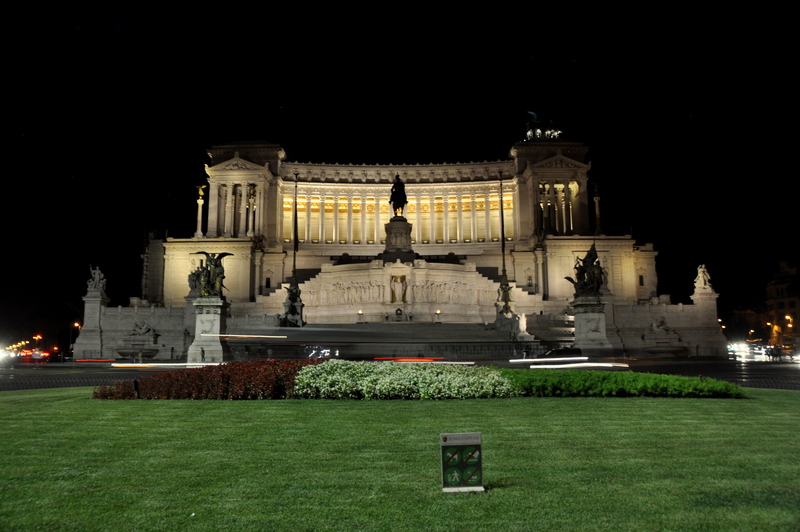 Although the building – dubbed “the wedding cake” by many – somewhat clashes with the older ruins of the nearby Roman Forum, it is a magnificent shrine to gaze upon after dark. It clashes, but I like it anyway. Thanks for the additional historic commentary. 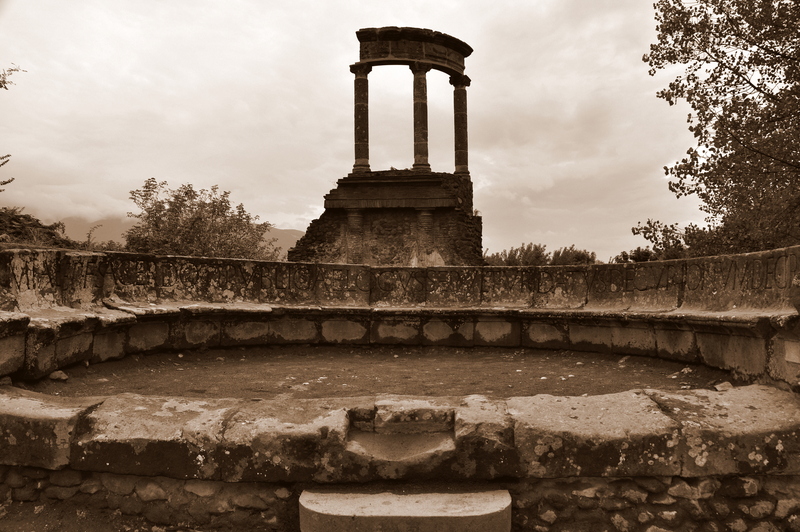 Great pics of Pompeii, by the way. Thanks! 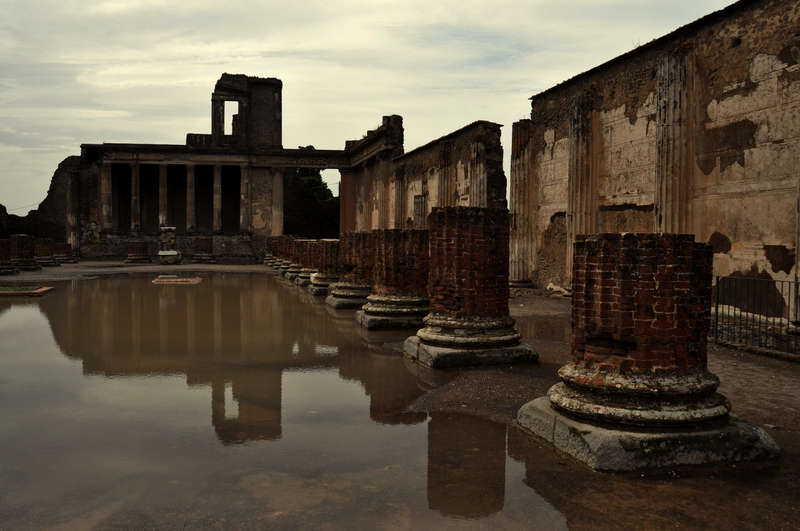 Have you been to Pompeii or Herculaneum?